PDSA has a hugely varied caseload treating sick and injured pets at our 48 pet hospitals. Due to our busy charity setting we have developed strong competencies in pragmatism, efﬁciency and robust clinical governance. But we take our expertise well beyond our clinical innovations and have become leaders in pet wellbeing, business strategy, marketing, leadership and people development. 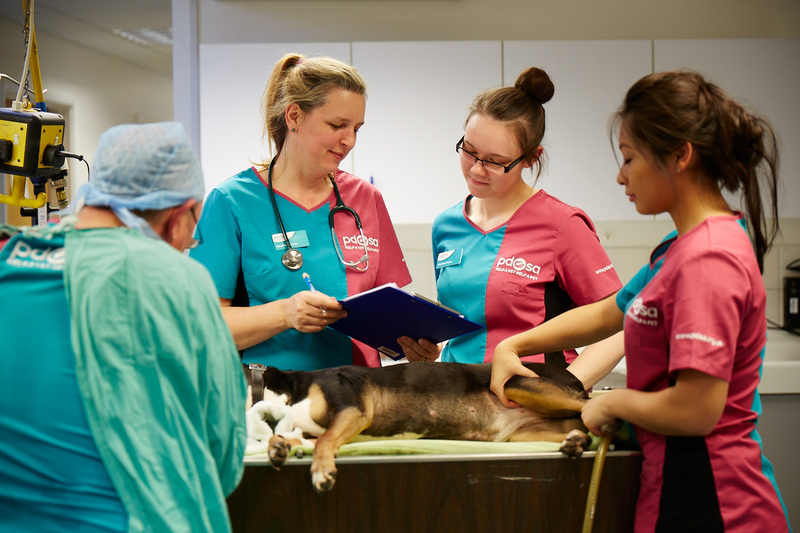 As one of the largest employers of veterinary professionals, we have a range of roles suitable for the newly graduated to the most experienced vets and nurses. We are proud of our trailblazing innovations such as our annual PAW report and PetWise MOTs, which are profession-wide tools used to assess and promote the improvement of animal welfare. We have central teams for Pet Health, Policy and Campaigns, Clinical Governance, Marketing and Business Strategy as well as our robust hospital and ﬁeld structure of Operational Managers. We also have acclaimed leadership and people development programmes which give us the frameworks and structures to nurture veterinary professionals into the roles and career of their choice.